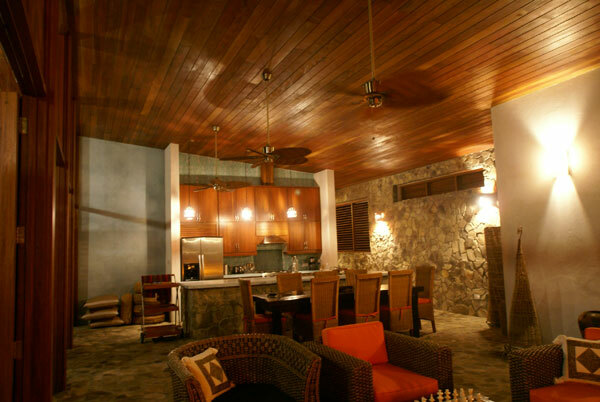 Located at Mt Pleasant, named after its soft constant breeze, LETOVAH VILLA, is a beautiful eco friendly contemporary house matching unique features, such as huge corner windows and very high ceilings, to the use of only natural materials. 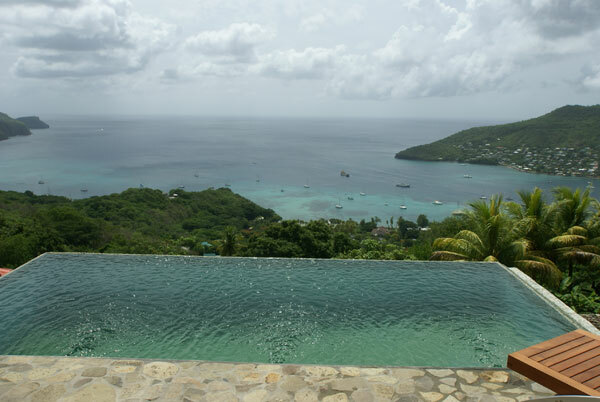 The house has unobstructed views towards both sides of the island (Admiralty Bay & Mustique Island). 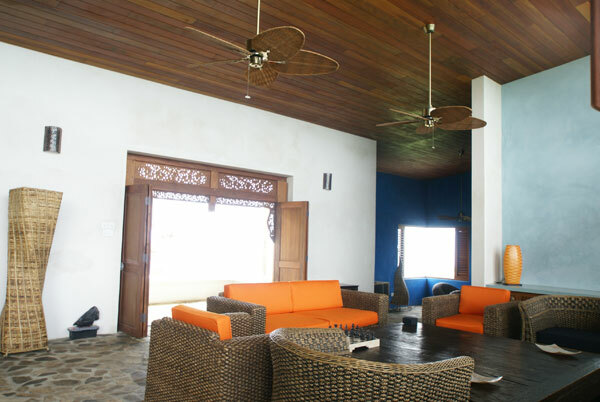 Letovah Villa has a capacity of sleeping 6 persons. 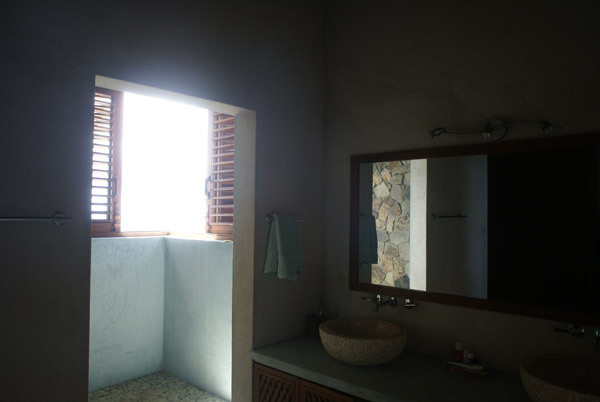 Tropical wood, stones, pebbles, and pigment, accented by glass tiles and pigmented cement counter tops are some of the elegant elements you will find inside the house. The very large living and dining room has a fully equipped open kitchen, with unobstructed views encompassing the entire Admiralty Bay, Princess Margaret, and Lower Bay. 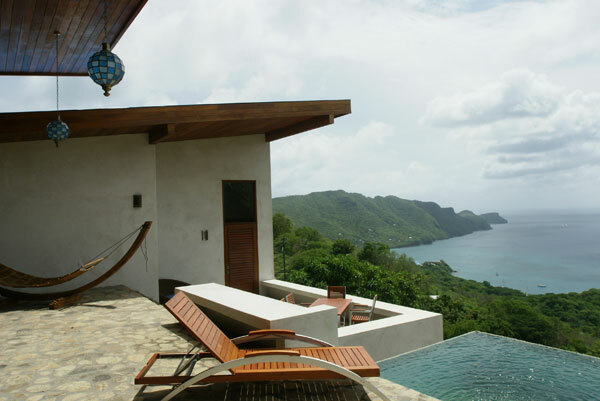 Opening to a wide terrace with an infinity edge plunge pool from which you will enjoy sunsets for ever. 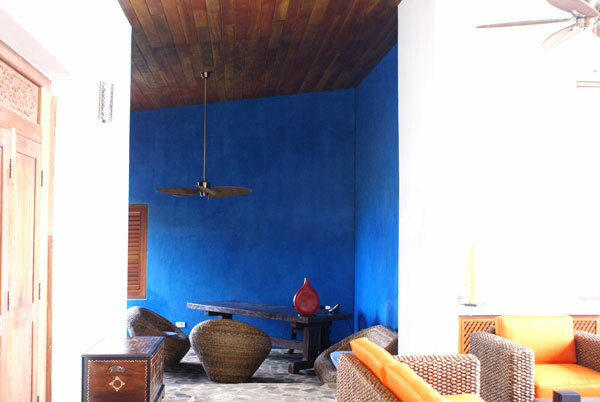 If you prefer the views of Mustique Island, spend some time in the relaxing den, right off the living room, whose walls have been textured with white sand and indigo blue pigment. This room equipped with a large flat screen TV, Internet connection and phone over Internet will also allow you to stay in touch with the rest of the world. 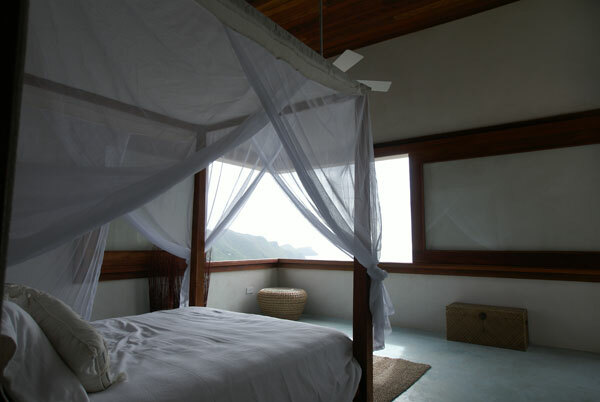 The Master bedroom suite with its huge panoramic corner window has also its own terrace overlooking the entire Bay, and encompasses a very large bathroom with a stone wall open shower overlooking Mustique as well as a full dressing room with private refrigerator, dresser, and ample closet space. The other two bedrooms, equipped with queen beds also enjoy their private terrace with sweeping views of the entire Bay, and private bathrooms all equipped by Waterworks, as well as hand carved marble sinks. 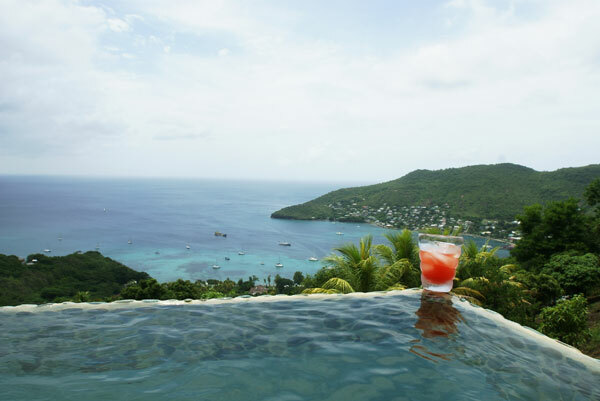 Have your lunch or enjoy a drink at sunset from the main terrace facing Princess Margaret�s beach and Admiralty Bay. 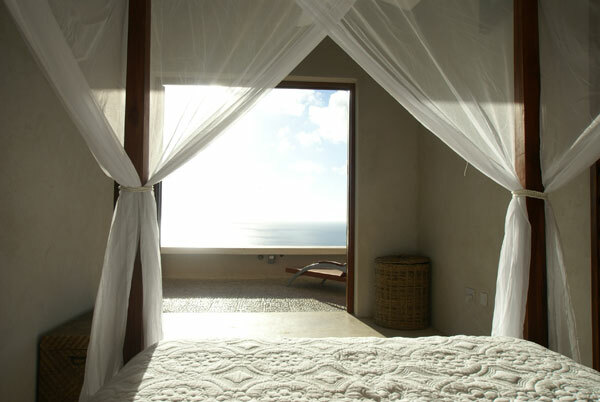 Hide from the sun at the hot hours of the day and read your book or nap in a hammock in the courtyard under the pergola facing Mustique. 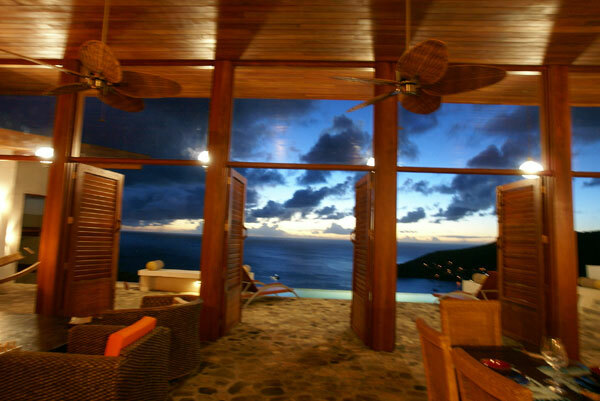 Everywhere you will look, the view from Letovah Villa is gorgeous and the breeze will keep you cool, and don�t forget you are only 10mn away from all beaches. Housekeeping 5 days a week. Rosalind is a great cook. If you want to entertain some friends or have a romantic dinner at home, talk to her and make a special arrangement.